This week, we look at the impact of the Internet of Things on the world of marketing. Soon, most of the devices in our lives will be given a digital voice. We’ll look at the fine line between convenience and intrusion, and why marketers are looking forward to the Internet of (marketing) Things. This week, we look at the impact of the Internet of Things on the world of marketing. Soon, most of the devices in our lives will be given a digital voice. We'll look at the fine line between convenience and intrusion, and why marketers are looking forward the Internet of (marketing) Things. For decades, scientists have searched for signs of intelligent life in the universe. A program known as SETI, the Search For Extraterrestrial Intelligence, has aimed large radio antennas skyward, hoping to hear the sounds of an advanced civilization in the stars. But recently, in a fascinating New York Times article written by Seth Shostak, the Director of the Centre for SETI Research, some researchers are now proposing that we should do more than simply listen and wait for E.T. 's call. That we should instead make serious efforts to encourage a response from aliens. In 1974, a three-minute encoded pictogram was transmitted into outer space using a large radio antenna. More recently, a series of radio broadcasts were sent to nearby stars, a Doritos TV commercial was launched to a planetary system in the Big Dipper, and NASA beamed the Beatles' song Across The Universe out into deep space. Many feel that sending pop music and snack food is not a great representation of Earth. Shouldn't our message be more encompassing? Instead, why not transmit the entire contents of the Internet. According to Shostak, sending the web via a powerful laser would only take a few days to launch with current technology. And isn't the web more indicative of who we really are? But listening is a passive exercise. Proactively sending loud messages into space is quite another. 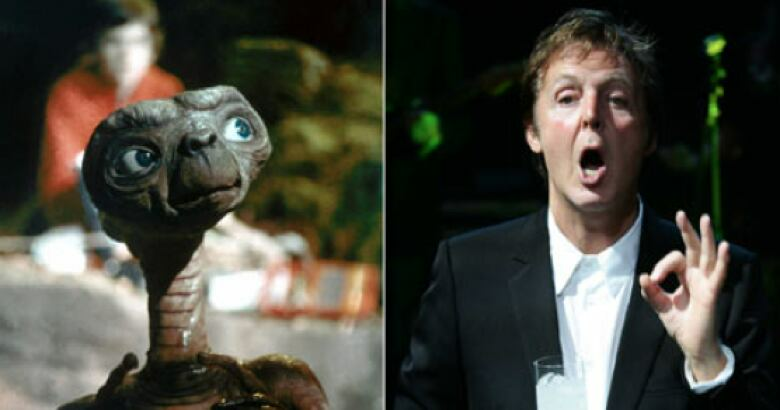 Paul McCartney said he was excited by the news a Beatles song was sent starward saying, "Send my love to the aliens." But would aliens send their love back? That question has unleashed a storm of controversy. Shostak says broadcasting into space is like shouting into the jungle – not a good idea when you don't know what's out there. As Stephen Hawking noted, our own history shows that when less sophisticated societies drew the attention of more advanced ones, the results were never good. But then again, any aliens with technology advanced enough to threaten us are probably listening to our various TV and radio signals already. Meaning, we are already shouting into the jungle – just with less volume than sending them the entire Internet. So - should we advertise our existence? Do we want to be connected to other galaxies? Those same questions are echoing down here in the world of marketing, in much smaller, yet equally profound ways. It's called the Internet of Things. Suddenly, we are connected to foreign objects, devices and companies like never before. We are sending huge swaths of intimate information out into the Internet, and while we're promised a better life, we really don't know what's out there. We've already been shouting into the jungle of commerce, encouraging a response. And marketers are heeding the call. You're at work, and your watch vibrates to let you know your son has brushed his teeth. You receive a text saying your Grandmother is a little shaky on her feet and may experience a fall this morning. Your washing machine has malfunctioned, so it has alerted you via text, recommended a best price for servicing, sourced a repair person, and has found a mutually available time for a service call by sourcing your calendar. Amazingly, two of these scenarios are not science fiction – but science fact. And the third – the proactive washing machine - will be a fact any day now. We have entered the age of interconnected devices. Today, it is estimated there are over 16 billion wireless devices connected to the Internet, and that number will nearly double by 2020. Thousands of new, remarkable applications will be developed during that time, and billions of ordinary, passive objects – from toothbrushes to thermostats to washing machines – will be given a "digital voice." In other words, the inanimate objects in our lives will be able to see, hear and sniff the world. 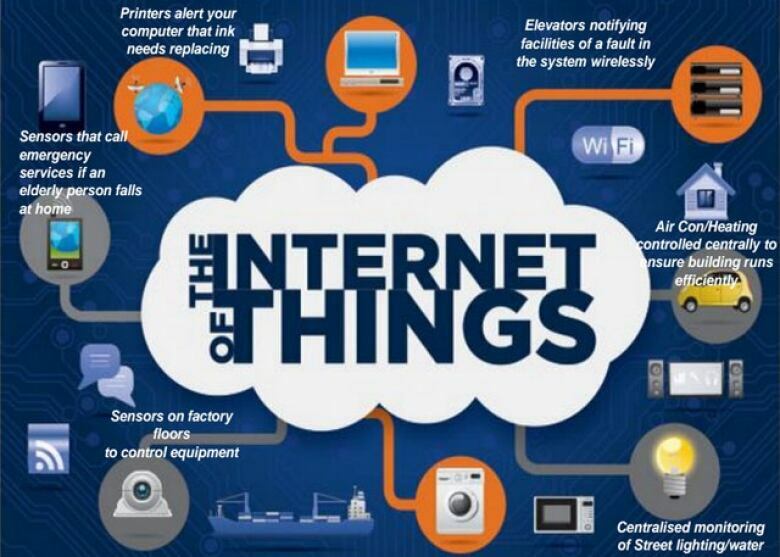 The very first thing in the Internet of Things can be traced back to around 1990. That year, a Sunbeam Deluxe toaster was connected to the web and turned on remotely from another city, the darkness of the toast controlled by how long the toaster stayed on. 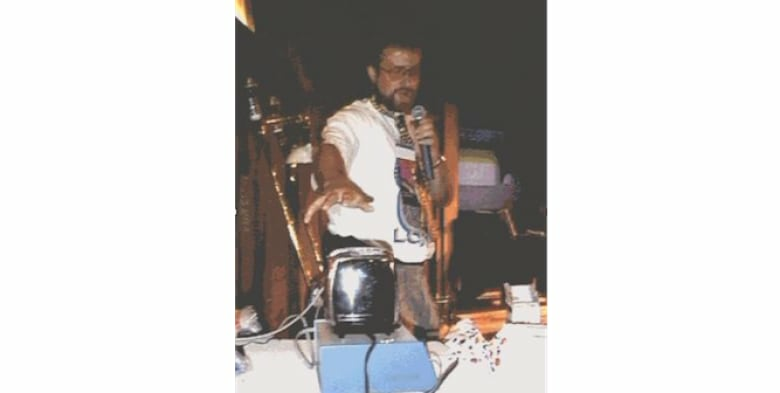 John Romkey points to the Sunbeam toaster he connected to the Internet in 1990. That same year, programmers at Xerox Parc connected a Coke machine to the Internet so they could monitor when the machine was restocked, and which bottles inside were the coldest. In 1993, a coffee pot in the computer laboratory at the University of Cambridge was connected to the Internet to monitor java levels and an image of the pot was updated three times a minute online. Then, two years later, in '95, the Internet officially went commercial with Amazon and eBay both opening up their digital doors that year. 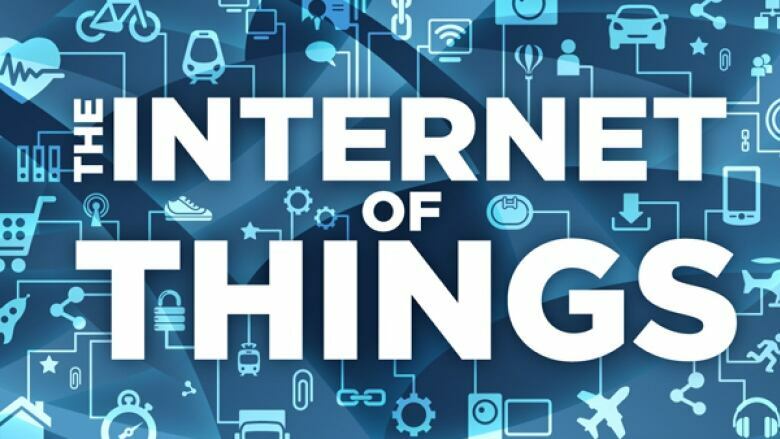 The phrase - The Internet of Things – was coined in 1999, but its coming-out party was in 2009, when a tipping point occurred – as over 10 billion objects became connected to the Internet – outnumbering Earth's 6.8 billion population for the first time. Door locks, coffee makers, thermostats, cameras, fire detectors, refrigerators, dishwashers, washing machines, garage doors, light bulbs, vacuum cleaners, toys and cars can all communicate now. And that has presented marketers with enormous opportunities. 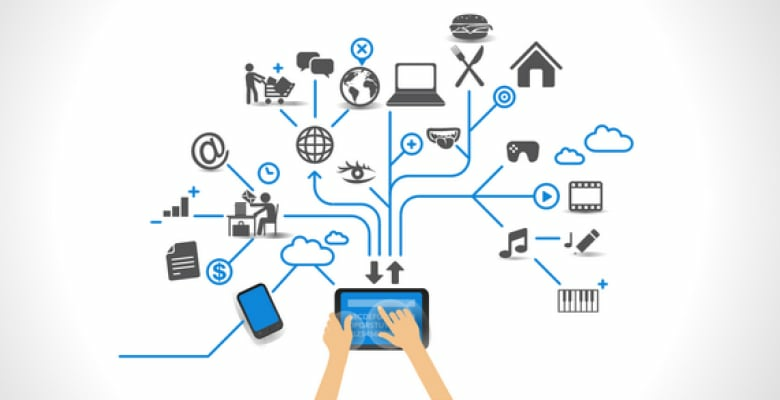 Current technology allows from 250 to 300 connected devices within each home. Many manufacturers employ a single type of micro-controller across a range of appliances using simple, low-powered signals. So your fridge has the same electronic brain as your dishwasher, and your toaster is as smart as your washing machine. Which means many of your household appliances are already computerized – and are just waiting for a gateway to the Internet. The trick is to provide a language all appliances understand, across many different brands. You don't want your toaster talking toaster-ese to your refrigerator. A Tower of Babel would be the end of The Internet of Things. What's really required is chatty appliances. Nest is a home automation company founded in 2010. It manufactures thermostats that learn your living habits. They light up when you approach them, they turn the temp up in the mornings just before you wake up, and turn it down when it knows you're going to sleep. It's even capable of communicating with your car, turning your house temperature up when it detects your car is close to home. Google purchased the fledgling company for $3.2 billion in 2014. And when a four year-old company is purchased for that kind of cash, it's sitting on some kind of potential. The search giant spotted it immediately. 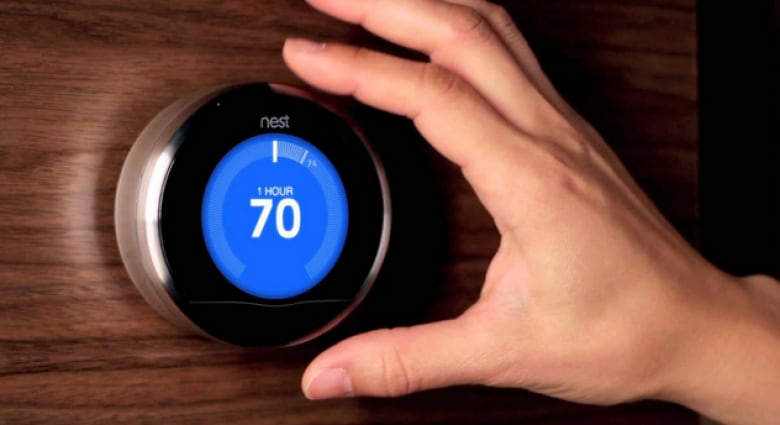 Energy providers pay Nest somewhere around $40 per customer per year. They pay those subscription fees because it allows utilities to communicate grid load data and fluctuating energy rates back to Nest, which then uses that information to intelligently control your thermostat. Ultimately saving you money on your energy bill – and saving utilities millions via a two-way sharing of information from a previously silent device. It also marks the first time Google has gained entry to your home without going through your computer. Google is first and foremost an advertising company. It delivers massive audiences to advertisers. Nest provides information on your habits, and delivers that audience. It has the potential to be very lucrative. Which is why Google is feathering its nest. Whirlpool has manufactured washers and dryers that ping your cell phone when the loads are done, and can determine when electricity is cheapest to keep your energy bills down. As we mentioned earlier, washers – and cars - will soon be able to detect a malfunction, alert you via text, then find and schedule a service call. A company called Sen.se has developed tiny sensors you can use around your house. 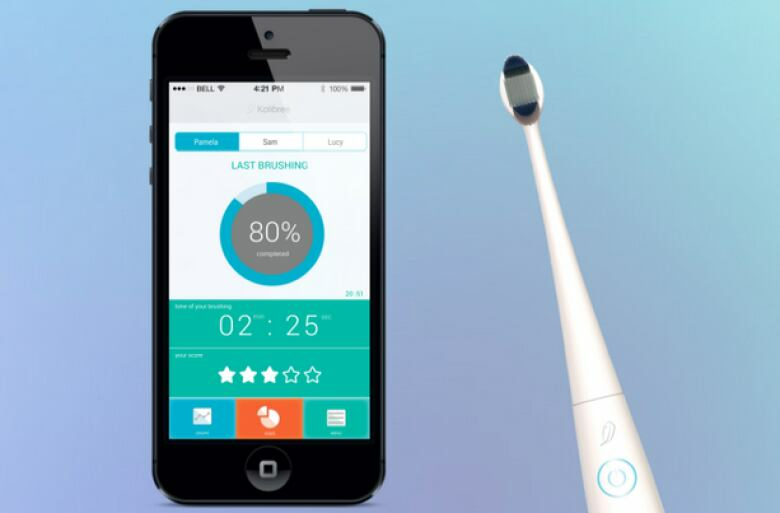 So if you put one on your son's toothbrush, you'll be notified when he's brushed his teeth. A sensor on your daughter's backpack will tell you when she's home from school. A sensor on your bed will let you know if someone is in it. 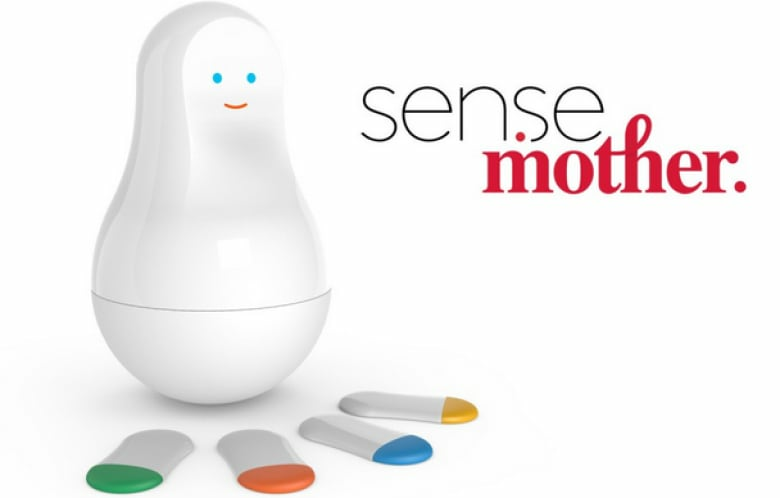 All the sensors are managed by a central egg-shaped hub called "Mother," which can monitor up to 24 tasks in your home. Their slogan: Mother knows everything. Ten years ago, I saw the first fridge with a computer screen built into it. When I asked the salesperson why a manufacturer would put a screen on a fridge, he said it was because your fridge is the centre of a home, and is the only always-on appliance. 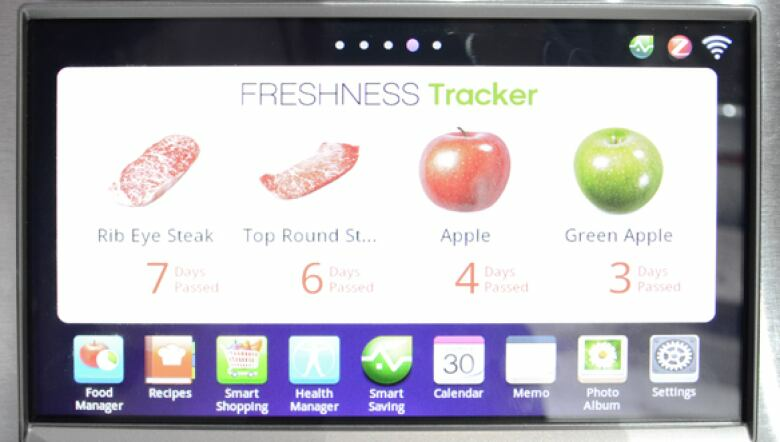 Soon, your refrigerator will be making all your routine grocery purchases for you. It will be able to monitor its regular contents, create a shopping list, scan online grocers to find best prices, and schedule a time for home delivery. It will also be able to take an inventory of its contents and suggest dinner recipes for you when you're squeezed for time. Which means grocery stores are suddenly very interested in your refrigerator. It also means grocery stores and brands will now need two distinct marketing strategies. First, they will need to persuade you to put a product on a "repeat" or "routine" purchase list so that your fridge is buying specific brands over and over again. Second, stores will now require a new kind of marketing – a rational, information-led campaign aimed – not at people – but at devices. Brands now need to send discount coupons to appliances. But smart marketers will differentiate themselves beyond just price by sourcing social media data like Facebook "likes" or ratings. 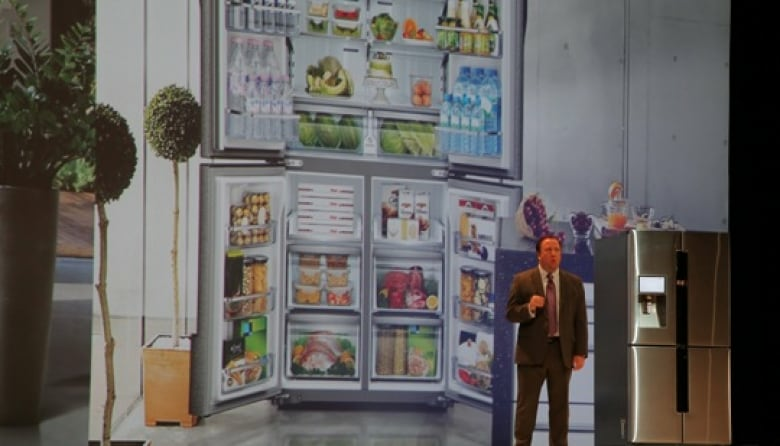 Yes, marketers will try to impress your fridge. On April Fool's Day, Amazon launched its new Dash Buttons. You can stick these tiny Wi-Fi enabled plastic devices to your appliances or to a wall, and order household items at the touch of the button - connecting through your smartphone to the Amazon app. So if you are about to run out of Tide detergent, you just push the Tide button stuck to the side of on your washer. The order is immediately sent to Amazon, which already has your credit card info on file, and the product is replenished and delivered right to your door. Because it was announced on April Fool's Day, many thought it was a joke. But it wasn't. It was a genius strategy to launch the concept – because as people were trying to decide whether it was real or a hoax – it got people talking about Dash buttons and sharing the news across the country. Each button is boldly branded with one logo, so there's a Tide button, a Maxwell House button, a Cottonelle button, and buttons for Gillette, Gatorade, Oil of Olay and two dozen other brands listing about 255 products. Manufacturers can also embed an Amazon sensor into their products, allowing products to re-stock themselves now. So an automatic pet food dispenser can measure the amount of food remaining and place an order before running out. Your Brita filter can measure the amount of water that passes through it and order a new one just in time. And Brother Printers can monitor ink and toner levels, and order supplies before you run out. It's an interesting offering from Amazon. What's missing from the one-click shopping buttons is a price display, so you're ordering without doing price checks – which is a huge win for Amazon. One concern is that it will replenish too early – did you really need that new Brita filter so soon? But Amazon has to build trust very carefully. All orders can be cancelled within 30 minutes of pushing the button, and if your five year-old happens to hit the button a few dozen times, only one order is registered. So you won't have a problem. Amazon is embedding marketers into your home, offering incredible convenience, and taking a piece of the action. As Wired Magazine pointed out, it means Amazon will become more intimate with you, knowing things like how much toilet paper you go through. So if your ordering slows down, Amazon can use its "You Might Also Like" strategy by suggesting prune juice or Fibre One Cereal. But maybe one of the biggest Internet Of Things categories is wearables. When Apple announced its new Watch, it called it the "most personal device ever." Because you wear it on your skin. The Apple Watch can authenticate who you are by skin contact. It can authenticate where you are by using GPS. It knows what you're doing via gyroscopes and accelerometers. It knows how you're feeling via body monitoring technology. Wearable technology will know more about you than you know yourself. The Apple Watch will understand more about you and how to meet your needs than any other computer that has come before. I've read several journalists say the Apple Watch is a gadget without a clear purpose. That it's just geek fashion. But those people are missing the big picture. It's not a product, it's a ground-breaking platform. As the Guardian newspaper noted, brands will now be able to create applications that will even go beyond Apple's wildest imagination. Yes, the Apple Watch is fashionable. The first rule of wearable technology is that it must be wearable. Therefore, it must be attractive – a lesson Google Glass learned the hard way. But what makes the Watch so revolutionary is the fact it's Apple's first computer designed to be worn – and that break from the past is seen in its very name. It's not an iWatch – like the iMac, the iPod, or iPhone. There is no "i" - it is simply – and formally - an Apple Watch. Signaling a new era. The watch delivers taps on your wrist with different intensities – communicating everything from a new message to GPS directions. You'll be able to recognize texts or emails from particular people by how the watch taps you. As it turns out, people are extremely good at distinguishing many different signals when written on their skin. Google tested a wristband that vibrated in 24 different patterns – and within 40 minutes of training, people were able to identify those messages with 99% accuracy. So you'll soon be able to recognize the unique taps from specific advertisers. The Watch has built-in sensors that measure things like heart rate, running distance and overall health. 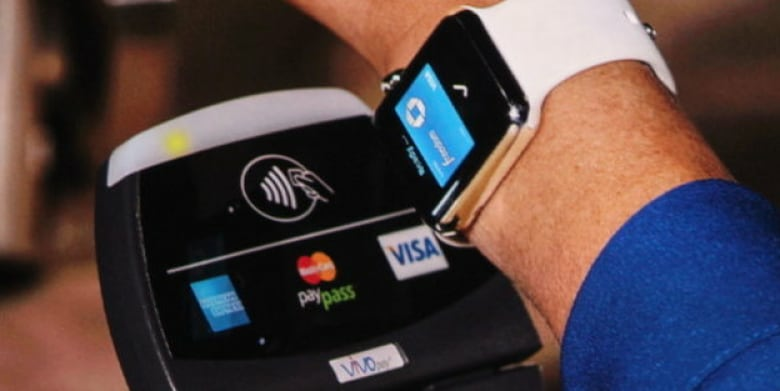 It allows for wireless payments via Apple Pay, which will appeal to Millennials happy to ditch their credit cards in favour of wrist-waving checkouts. The watch stores payment info, loyalty cards, boarding passes, coupons and mobile banking applications. Marketers can take advantage of invisible geo-fencing that senses when an Apple Watch user is in close proximity, enabling them to send shopping alerts or discount coupons by gently tapping you on the wrist to get your attention. You can now check-in to Starwood hotels remotely via your Apple Watch, and you can unlock guest rooms with the flick of your wrist. Plus the hotel can tap you with discounts, upgrades and travel tips. Which means Apple Watch users will search out Starwood properties to take advantage of the connectivity. Health-related marketers can give you a 10% off discount on your next purchase if you exercised today – all you have to do is show them your Apple Watch workout results. Maybe your employer wants to encourage you to live a healthier lifestyle – so it gives each employee an Apple Watch – and everyone who reaches certain health milestones receives benefits like gifts, free gym memberships or vacation days. As one industry observer recently predicted, the Apple Watch will one day replace your iPhone. Because it sits on – and gets under – your skin. The Internet Of Things is still in its diaper stage. 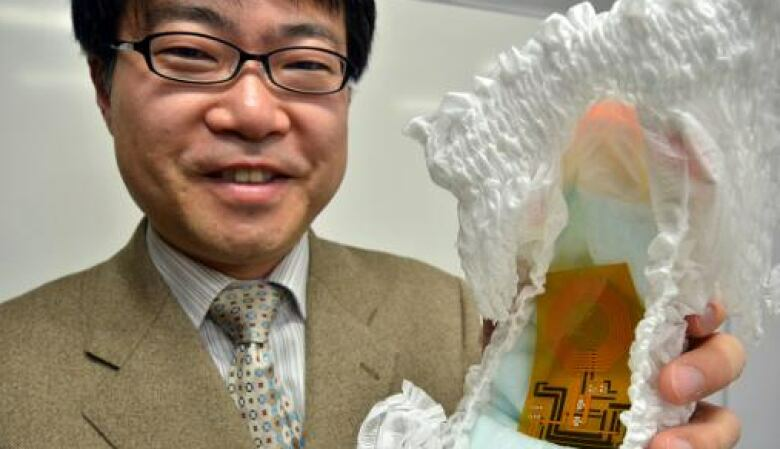 As a matter of fact, there are now wireless diapers. They come embedded with a cellular strip and send "wet diaper" notifications to parents via messages to smartphones and wearables. 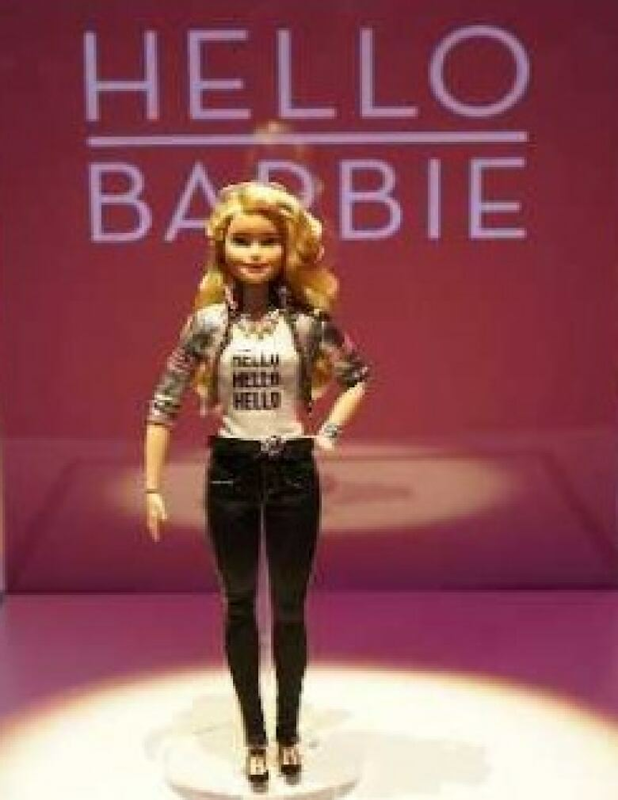 You can now purchase a Wi-Fi Barbie doll. Called "Hello Barbie" – the doll was developed by two ex-Pixar Animation programmers, and is capable of having long, detailed conversations with your child. The doll not only listens to your child's conversations, it learns and builds on its responses. Think of it as Siri for kids. You can now purchase smart fuzzy slippers. A company called 24/8 has launched a slipper aimed at the elderly. Sensors measure foot pressure points, so if Gramma starts to wobble, the slipper will sense trouble and send an immediate text to a family member or caregiver. 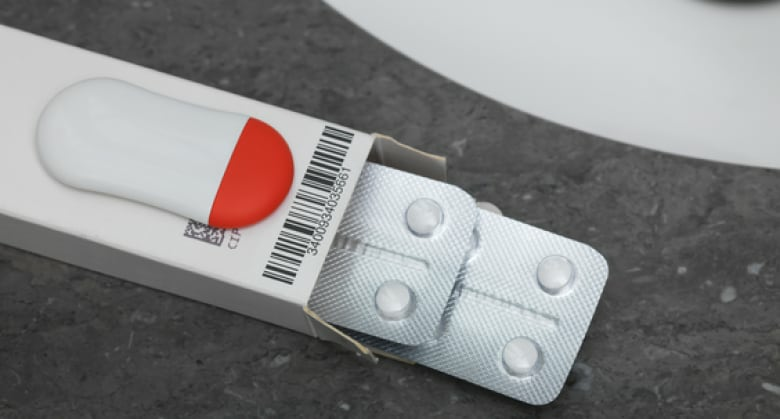 And there is a pill bottle called GlowCaps that glows, beeps, and texts if you've missed a dose. Like your fridge, it can also tattle, keeping records that can be sent to physicians and family members. As the video just mentioned, it's aimed at seniors. Yes, the Internet Of Things is exciting, but it does have a few things to iron out. Recently, the Securities and Exchange Commission asked Google to break out its mobile revenue. Google said it was impossible, because the definition of mobile is changing so rapidly. Buried in that letter to the SEC, the search giant said that in just a few years, it will be serving ads on refrigerators, car dashboards, thermostats, glasses and watches. Proving it's not just the Internet of Things, it's the Internet of Marketing Things. It's both exciting and alarming. If my car senses a malfunction, texts me and makes an appointment at my dealership, I'll take it. If my thermostat is keeping my heating costs down, come to papa. But if my TV is listening to private conversations in my home, or if a toy is recording my daughter's words for marketing purposes, I'm not a happy guy. Governments are hesitant to impose Internet of Things privacy legislation yet, afraid it will stifle innovation. In the good old days, we'd hear a loud dial-up noise when we went online. That sound told us the door to the worldwide web was opening. But the Internet of Things is a quiet gatherer. Some of what it offers is good, some of it is bad, and a lot of it is simply unknown.